This contributor has added 12670 volumes from 4627 titles, containing 4898708 pages. This contributor has added 5 chapters/articles/treatments. By: Mooney, Kenneth A. - Summy, Alan D. - United States. Coast Guard. Oceanographic Unit. Publication info: Washington :U.S. Coast Guard, Oceanographic Unit,[1982?]. By: Bell, F. Heward, (Frederick Heward), - St-Pierre, Gilbert. - International Pacific Halibut Commission. Publication info: Seattle, Wash. :International Pacific Halibut Commission,1970. Publication info: Cambridge [Eng. ]The University press,1909. Publication info: London,J. Van Voorst,1853. Publication info: Berlin,R. Friedländer und sohn,1901. Panel reports of the Commission on Marine Science, Engineering and Resources. Publication info: [Washington :U.S. G.P.O.,1969]. Die pantopoden des golfes von Neapel und der angrenzenden meeres abschnitte. Papers in microbial genetics ; bacteria and bacterial viruses. Publication info: Madison,University of Wisconsin Press,1951. By: Boston University. - Massachusetts Institute of Technology. - United States. Committee on Interior and Insular Affairs. - United States. Congress. Senate. Committee on Interior and Insular Affairs. - Woods Hole Oceanographic Institution. Publication info: Washington,U.S. Govt. Print. Off.,1971. Publication info: Berlin,R. Friedländer und sohn,1898. Le parasitisme et la symbiose. Publication info: Berlin,R. Friedländer und Sohn,1903. Publication info: Philadelphia,W.B. Saunders company,1920. Patterns and perspectives in environmental science : report prepared for the National Science Board, National Science Foundation. Publication info: [Washington] :The Board : for sale by the Supt. of Docs., U.S. Govt. Print. Off.,1972. Publication info: Berlin,R. Friedländer und Sohn,1915. Publication info: Fort Belvoir, Va. :National Technical Information Service, distributor,1982. Publication info: San Diego, Calif. :Naval Ocean Systems Center,1979. By: Roe, Thorndyke. - Alumbaugh, R. L. - Jenkins, James F.
Publication info: Port Hueneme, Calif. :Civil Engineering Laboratory,1979. By: Bottin, Robert R. - Appleton, William S. - Coastal and Hydraulics Laboratory (U.S. Army Engineer Waterways Experiment Station) - U.S. Army Engineer Waterways Experiment Station. - United States. Army. Corps of Engineers. Publication info: Vicksburg, Miss. :U.S. Army Engineer Waterways Experiment Station,1997. By: Bottin, Robert R. - Rothert, William F. - Coastal and Hydraulics Laboratory (U.S. Army Engineer Waterways Experiment Station) - U.S. Army Engineer Waterways Experiment Station. - United States. Army. Corps of Engineers. Publication info: Vicksburg, Miss. :U.S. Army Engineer Waterways Experiment Station,1999. By: Bottin, Robert R. - Boc, Stanley J. - Coastal and Hydraulics Laboratory (U.S. Army Engineer Waterways Experiment Station) - U.S. Army Engineer Waterways Experiment Station. - United States. Army. Corps of Engineers. By: Markle, Dennis G. - Boc, Stanley J. - Coastal Engineering Research Center (U.S.) - U.S. Army Engineer Waterways Experiment Station. - United States. Army. Corps of Engineers. Periodic single-blade loads on propellers in tangential and longitudinal wakes / by Robert J. Boswell, Stuart D. Jessup, Ki-Han Kim. By: Boswell, Robert J. - Jessup, Stuart D. - Kim, Ki-Han. - David W. Taylor Naval Ship Research and Development Center. - Propellers '81 Symposium. Publication info: Bethesda, Md. :David W. Taylor Naval Ship Research and Development Center,1981. Die periphere Innervation; kurze übersichtliche Darstellung des Ursprungs, Verlaufs und der Ausbreitung der Hirn- und Rückenmarksnerven, mit besonderer Berücksichtigung wichtigster pathologisher Verhältnisse. Perspectives and horizons in microbiology, a symposium. Publication info: New Brunswick, N.J.,Rutgers University Press,1955. By: Galbraith, John Kenneth, - Jarrett, Henry. - Resources for the Future. The Pfizer handbook of microbial metabolites. Publication info: Berlin :Gebrüder Borntraeger,1913. Pflanzenphysiologie. Versuche und beobachtungen an höheren und niederen pflanzen einschliesslich bakteriologie und hydrobiologie mit planktonkunde. Die pflanzlichen Parasiten des menschlichen Körpers. Für Ärzte, Botaniker und Studirende zugleich als Anleitung in das Studium der niederen Organismen. Pflügers Archiv für die gesamte Physiologie des Menschen und der Tiere. Publication info: Bonn :M. Hager,1910-1968. Phenomena, atoms and molecules: an attempt to interpret phenomena in terms of mechanisms or atomic and molecular interactions. Publication info: New York,P. B. Hoeber, inc.,1937. Publication info: Nürnberg :Bei Johann Leonhard Schrag,1813. Publication info: Leipzig :W. Engelmann,1909. Publication info: Cambridge [Eng.] :at the University Press,1914. By: Selys-Longchamps, Marc Aurèle Gracchus de, - Stazione zoologica di Napoli. Publication info: Berlin :R. Friedländer & Sohn,1907. Publication info: San Diego, Calif. :U. S. Navy Electronics Laboratory,1966. Publication info: Boston, Mass.,American photographic publishing co.,1924. By: Stanley, Daniel J. - Kelling, Gilbert. By: Conference on Photoperiodism Gatlinburg, Tenn.) - Withrow, Robert B. By: Hill, Robert, SC.D. - Whittingham, C. P.
Publication info: New York :The Chemical catalog company, inc.,1926. Publication info: New York,W.A. Benjamin,1962. By: National Research Council (U.S.). Committee on Photobiology. Publication info: Washington,National Academy of Sciences-National Research Council,1963. Publication info: Leipzig :F. A. Brockhaus,1843. Publication info: Varese :Antica tip. ferri di Maj e Malnati,1883-1886. A phylogenetic classification of animals (for the use of students). Publication info: London,Macmillan and Co.,1885. Phylogeny of the Echini, with a revision of Palaeozoic species. Publication info: New Haven,Yale university press,[etc., etc.]1923. Publication info: New York :Harper & Brothers,1856. Edition: An entirely new ed., with addenda. Publication info: London :Harper & Brothers ;1860, c1856. The physical geography of the sea, and its meteorology . Edition: 11th ed., rev., being the 2d. ed. of the author's reconstruction of the work. Publication info: London :Sampson Low, Son & Marston,1864. Edition: 10th ed., rev., being the second edition of the author's reconstructoon of the work. Publication info: London :Sampson Low, Son & Co.,1861. Edition: 8th ed., rev. and greatly enl. Publication info: New York :Harper,1875. Edition: An entirely new edition, with addenda. Publication info: New York :Harper,1858. Edition: 3rd ed., enl. and improved. Publication info: New York :Harper & brothers,1855. Edition: 5th ed., enl. and improved. Publication info: New York,Harper & brothers,1855. Edition: An entirely new ed. Publication info: San Diego, Calif. :U.S. Navy Electronics Laboratory,1958. By: Ward, Donald L. (Donald Leslie), - Coastal Engineering Research Center (U.S.) - U.S. Army Engineer Waterways Experiment Station. - United States. Army. Corps of Engineers. New England Division. Publication info: New York :Interscience Pub.,1962. Publication info: Washington, D.C. :U.S. Govt. Print. Off.,1927. Publication info: New York :Pergamon Press,1961. Physics of fluids, maneuverability and ocean platforms, ocean waves, and ship-generated waves and wave resistance. By: Symposium on Naval Hydrodynamics Washington, D.C.) - Cooper, Ralph D. - Doroff, Stanley W. - Davidson Laboratory. - United States. Office of Naval Research. By: Conference on the Physics of Cloud and Precipitation Particles Woods Hole, Mass.) - Weickmann, Helmut K.
Publication info: [Washington]American Geophysical Union of the National Academy of Sciences, National Research Council,1960. Physics of sound in the sea. Publication info: New York,Academic Press,1953. Publication info: San Diego, Calif. :U.S. Navy Electronics Laboratory,1966. Publication info: New York,McGraw-Hill Book Company inc.,1938. Publication info: Lancaster, Pa.,The Jacques Cattell Press,1943. Physiological triggers and discontinuous rate processes; papers based on a symposium at the Marine Biological Laboratory, Woods Hole, Massachusetts, September 1955. By: Bullock, Theodore Holmes. - Society of General Physiologists. Publication info: Washington,American Physiological Society,1957. Publication info: Leipzig :Franz Deuticke,1891. Edition: 2., stark verm. und verb. Aufl. Publication info: Berlin :Vereinigung Wissensachaftlicher Verleger Walter de Gruyter,1921-1923. By: Müller, Joh., - Jourdan, A. J. L.
Publication info: Paris,Chez J. B. Baillière [etc., etc.]1840. Edition: 3, neubearb, und verm. aufl. Publication info: Leipzig :W. Engelmann,1904. Publication info: Chicago, Ill. :The University of Chicago Press,-1939. The physiology of induced hypothermia; proceedings of a symposium, 28-29 October 1955. Publication info: Washington,National Academy of Sciences-National Research Council,1956. The physiology of insect senses. By: Pfeffer, W. (Wilhelm), - Ewart, Alfred J. By: Marshall, F. H. A. (Francis Hugh Adam), - Cramer, William, - Lochhead, James. Publication info: London,Longmans, Green and Co.,1910. Edition: 2d and rev. ed. Publication info: London,Longmans, Green, and Co.,1922. By: Burgen, A. S. V. - Emmelin, N. G.
Publication info: Baltimore,Williams & Wilkins,1961. Publication info: New York,The Macmillan Company,1937. The Phytologist: a botanical journal. The Phytologist: a popular botanical miscellany. Publication info: London,John van Voorst,1844-56. Publication info: Madison, Wis.,Pub. by the State,1920-24. Pigeons and all about them. By: Boitard, Pierre, - Corbié. By: Pope, Joan. - Coastal Engineering Research Center (U.S.) - U.S. Army Engineer Waterways Experiment Station. - United States. Army. Corps of Engineers. Publication info: Vicksburg, Miss. :U.S. Army Engineer Waterways Experiment Station,1996. Publication info: Baltimore,Williams & Wilkins,1940. By: Newman, J. N. (John Nicholas), - Plaia, P. - Zarnick, Ernest Edward. - David W. Taylor Model Basin. Publication info: Washington, D.C. :Dept. of the Navy, David Taylor Model Basin,1966. By: Stevenson, Robert E. (Robert Evans), - Grady, John R.
Publication info: Los Angeles :Allan Hancock Foundation for Scientific Research, University of Southern California,1956. By: Barham, E. G. - Sullivan, M. P. - Wilton, J. W.
Plankton of the offshore waters of the Gulf of Maine. Publication info: Washington,Govt. Print. Off.,1926. Publication info: Leipzig und Berlin,B.G. Teubner,1910. By: Gerloff, Gerald C. - Glass, Gary E. - United States. Environmental Protection Agency. Office of Research and Monitoring. Publication info: Washington,For sale by the Supt. of Docs., United States Govt. Print. Off.,1973. The plant cell wall; a topical study of architecture, dynamics, comparative chemistry and technology in a biological system. By: Hanson, Herbert C. (Herbert Christian), - Churchill, Ethan D.
Publication info: New York,Reinhold Pub. Corp. Edition: 3d ed., thoroughly rev. By: International Conference on Plant Growth Substances Yonkers, N.Y.) - Boyce Thompson Institute for Plant Research. Publication info: [Madison]University of Wisconsin Press,1951. Publication info: Lancaster, Pa.,The Jacques Cattell press,1945. Publication info: Brooklyn, N Y.,Chemical publishing company, inc.,1941. Publication info: Princeton,Princeton University Press,1929. Publication info: New York,H. Holt & company,1898. By: Plant Nematology Workshop North Carolina State College) - Southern Regional Nematode Project. Edition: 2d American ed. with a biographic note and chapter summaries by the editor; 173 illustrations. Publication info: New York,The Macmillan company,1911. Publication info: New York,D. Van Nostrand Company, inc.,1939. By: Braun-Blanquet, J. (Josias), - Conard, Henry Shoemaker, - Fuller, George D.
Publication info: New York and London,McGraw-Hill book company, inc.,1932. Publication info: New York,D. Appleton and company,1900. By: Plant World Association. - Wild Flower Preservation Society. Plant-animals; a study in symbiosis. Publication info: Cambridge, Eng.,University Press,1912. Plant-geography upon a physiological basis. Publication info: Oxford :Clarendon Press,1903. Publication info: Fort Belvoir, Va. :Dept. of Defense, Dept. of the Army, Corps of Engineers, Coastal Engineering Research Center ;1977. By: Muraoka, James S. - Naval Civil Engineering Laboratory (Port Hueneme, Calif.) - United States. Naval Facilities Engineering Command. Publication info: Port Hueneme, Calif. :Naval Civil Engineering Laboratory,1969. Publication info: Wien :A. Hölder,1887. Publication info: [Fort Belvoir, Virginia] :United States Army, Corps of Engineers, Coastal Engineering Research Center,1973. Publication info: Berlin,R. Friedländer und sohn,1897. Publication info: New York,Consultants Bureau,1963. Point Lobos Reseerve; State Park, California. By: Drury, Aubrey, - California. Division of Beaches and Parks. By: United States. Bureau of Medicine and Surgery. - United States. Navy Dept. Bureau of Medicine and Surgery. - United States. Office of Naval Intelligence. Les poissons migrateurs; leur vie et leur pêche; um important problème d'histoire naturelle océanographique et économique. The polar regions in their relation to human affairs. Publication info: New York,American Geographical Society,1958. By: Eisler, Ronald, - Patuxent Wildlife Research Center. - U.S. Fish and Wildlife Service. Publication info: Laurel, MD :The Service,1986. Die polycladen (seeplanarien) des golfes von Neapel und der angrenzenden meeres-abschnitte. By: King, David B. - Coastal and Hydraulics Laboratory (U.S. Army Engineer Waterways Experiment Station) - U.S. Army Engineer Waterways Experiment Station. - United States. Army. Corps of Engineers. A popular history of British sea-weeds, comprising their structure, fructification, specific characters, arrangement, and general distribution, with notices of some of the fresh-water Algae. Publication info: London,Reeve and Benham,1851. 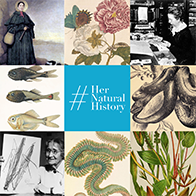 A popular history of British zoophytes, or corallines. Publication info: London,Reeve and co.,1852. Publication info: London :Lovell Reeve,1857. Publication info: New York,Popular Science Pub. Co., etc. By: Steele, Joel Dorman, - Jenks, J. W. P.
Publication info: New York :A.S. Barnes & Company,c 1887. Publication info: Àvienne,Chez Antoine Pichler,1807. By: Lofquist, Karl E. B. Publication info: Fort Belvoir, Va. :U.S. Coastal Engineering Research Center,1977. Postelsia : the year book of the Minnesota Seaside Station. Publication info: St. Paul, Minn. :Pioneer Press,1902-1906. By: Peabody Museum of Natural History. Publication info: New Haven, Conn. :Peabody Museum of Natural History,[1950?]-c2004. By: Brown, Allen L. - Corton, Edward L. - Simpson, Lloyd S. - United States. Hydrographic Office. Publication info: Washington, D.C. :U.S. Navy Hydrographic Office,1955. By: DeLeonibus, Pat S. - United States. Hydrographic Office. Publication info: Washington, D.C. :U.S. Navy Hydrographic Office,1961. A practical manual of medical and biological staining techniques. Publication info: Washington, D.C :United States Coast Guard,1926. By: Lee, Owen S. - Simpson, Lloyd S. - United States. Hydrographic Office. Publication info: New York :D. Van Nostrand company, inc.,1942. Publication info: Jena :G. Fischer,[1914?]-1928. Publication info: Jena :G. Fischer,1907. By: Mazeika, Paul A. - United States. Naval Oceanographic Office. Publication info: Washington, D.C. :U.S. Naval Oceanographic Office,1965. Publication info: Washington, D.C. :U.S. Navy Hydrographic Office,1960. By: Hong, Young S. - David W. Taylor Naval Ship Research and Development Center. Publication info: Bethesda, Md. :David W. Taylor Naval Ship Research and Devlopment Center,1982. By: Kiernan, Thomas J. - David W. Taylor Model Basin. Publication info: Washington, D.C. :Dept. of the Navy, David Taylor Model Basin,1964. Publication info: San Diego, Calif. :U. S. Navy Electronics Laboratory,1967. Publication info: New York,D. Appleton and company,1892. ... A preliminary catalogue of the flora of New Jersey. Publication info: New Brunswick,Office of the survey,1881. By: Ellsworth, W. M. - Gay, S. M. - Pneumodynamics Corporation. Systems Engineering Division. Publication info: Bethesda, Md. :Systems Engineering Division, Pneumodynamics Corporation,1961. By: Yim, Bohyun - American Society of Mechanical Engineers. - David W. Taylor Naval Ship Research and Development Center. Publication info: Bethesda, Md. :David W. Taylor Naval Ship Research and Development Center,1982. By: Gay, S. M. - Clark, A. P. - Pneumodynamics Corporation. - United States. Office of Naval Research. Publication info: Bethesda, Md. :Pneumodynamics Corporation, Systems Engineering Division,28 cm. Publication info: London :Printed for Longman, Rees, Orme, Brown, Green & Longman, and J. Taylor,1834. By: Science Applications International Corporation. - United States. Army. Corps of Engineers. New England Division. Publication info: Waltham, MA :U.S. Army Corps of Engineers, New England Division,1990. By: Timme, Richard C. - Stinson, Fannie A. - United States. Hydrographic Office. By: Conn, H. W. (Herbert William), - Webster, Lucia Washburn Hazen. Publication info: Hartford,Printed for the State Geological and Natural History Survey,1908. By: Mather, Kirtley F. (Kirtley Fletcher), - Goldthwait, Richard Parker, - Thiesmeyer, Lincoln R.
Publication info: [Hartford],Hartford press, The Case, Lockwood & Brainard company,1905. By: Shonting, David H. - United States. Naval Underwater Ordnance Station, Newport, R.I. Publication info: Newport, R.I. :U.S. Naval Underwater Ordnance Station,1965. By: Kim, Ki-Han. - Kobayashi, Sukeyuki. - David W. Taylor Naval Ship Research and Development Center. Publication info: Bethesda, Md. :David W. Taylor Naval Ship Research and Devlopment Center,1985. By: Harrison, Mark. - David W. Taylor Model Basin. Publication info: Washington, D.C. :Dept. of the Navy, David Taylor Model Basin,1958. By: Monacella, V. J. - Newman, J. N. (John Nicholas), - David W. Taylor Model Basin. Publication info: Washington, D.C. :Dept. of the Navy, David Taylor Model Basin,1967. Publication info: San Diego, Calif. :U.S. Navy Electronics Laboratory,1965. By: Cope, E. D. (Edward Drinker), - Open Court Publishing Company. Publication info: Chicago :Open Court,1904, c1896. Publication info: Chicago,The Open Court Publishing Company,1896. Publication info: Fort Belvoir, Va :U.S. Coastal Engineering Research Center,1975. Publication info: Glasgow,J. MacLehose and sons,1903-05. Publication info: Paris,Pichon et Didier,1830. Publication info: New York ;McGraw-Hill book company, inc.,1946. Principles of biological microtechnique; a study of fixation and dyeing. Publication info: New York :D. Appleton and company,1896, c1866-67. Publication info: New York,D. Appleton and company,1898-1900. Publication info: Boston ;Ginn & Company,c1906. Publication info: New York :Macmillan,1956. Publication info: Philadelphia :Lea & Febiger,1912. Edition: A new American, from the 8th revised and enlarged English edition, with notes and additions / Francis G. Smith. Publication info: Philadelphia :Henry C. Lea,1876. Edition: 3d American, from the last London edition, with notes and additions / by Meredith Clymer. Publication info: Philadelphia :Lea and Blanchard,1847, c1845. By: United States. Bureau of Naval Personnel. Publication info: New York,The Macmillan Co.,1938. Publication info: New York :Holt,1910. Publication info: Baltimore,Williams & Wilkins,1927. Publication info: Boston :Gould, Kendall and Lincoln,1848. Publication info: Boston :Gould and Lincoln,1851. Prinzipien der generellen Morphologie der Organismen. Wörtlicher Abdruck eines Teiles der 1866 erschienen Generellen Morphologie (allgemeine Grundzüge der organischen Formen-Wissenschaft, mechanisch begründet durch die von Charles Darwin reformierte Deszendenz-Theorie). Publication info: San Diego, Calif. :U.S. Navy Electronics Laboratory,1964. The problem of age, growth, and death; a study of cytomorphosis. Publication info: New York,The Macmillan company,1930. Problems of cytology and evolution in the Pteridophyta. Publication info: Cambridge [Eng. ]University Press,1950. Publication info: New Haven,Yale University Press; [etc., etc.]1913. By: Association for the Sciences of Limnology and Oceanography - Moulton, Forest Ray, - American Association for the Advancement of Science. Publication info: [Washington, D.C.]Pub. for the American Association for the Advancement of Science by the Science Press,1939. Publication info: London,G.G. Harrap & co. ltd. Problems of morphogenesis in ciliates; The kinetosomes in development, reproduction and evolution. Problems of polar research; a series of papers by thirty-one authors. By: American Geographical Society of New York. - Joerg, W.L.G. Publication info: New York,American geographical society,1928. Publication info: New York,L. MacVeagh, The Dial Press,1932. Publication info: Fort Belvoir, Va. :Coastal Engineering Research Center ;1977. By: Government-Industry Oceanographic Instrumentation Symposium Washington, D.C.) - Federal Council for Science and Technology (U.S.). Committee on Oceanography. By: Salt Marsh Conference University of Georgia, Sapelo Island, Georgia) - Ragotzkie, Robert A. - University of Georgia. Marine Institute. Publication info: Athens, Ga. :Marine Institute, University of Georgia,1959. Proceedings and transactions of the Royal Society of Canada. Délibérations et mémoires de la Société royale du Canada. By: Royal Society of Canada. Publication info: Ottawa [etc. ]Société royale du Canada. By: U.S. Fish and Wildlife Service Pollution Response Workshop Saint Petersburg, Fla.) - Brown, Columbus H. - U.S. Fish and Wildlife Service. Publication info: Washington, D.C. :Environmental Contaminant Evaluation Program, Fish and Wildlife Service, U.S. Dept. of the Interior : for sale by the Supt. of Docs., U.S. Govt. Print. Off.,1979. Proceedings of the Academy of Natural Sciences of Philadelphia. By: Academy of Natural Sciences of Philadelphia. Proceedings of the American Academy of Arts and Sciences. By: Biological Society of Washington. - Smithsonian Institution. Proceedings of the Boston Society of Natural History. By: Boston Society of Natural History. Publication info: Boston [etc. ]Boston Society of Natural History. Proceedings of the California Academy of Sciences. By: California Academy of Sciences. - California Academy of Natural Sciences. Publication info: San Francisco,The Academy. Proceedings of the California Academy of Sciences. 3d ser., Mathematics-physics. By: California Academy of Sciences. Proceedings of the California Academy of Sciences, 4th series. Publication info: San Francisco,California Academy of Sciences. Proceedings of the California Academy of Sciences. 3d ser., Zoology. By: California Academy of Sciences - California Academy of Sciences. By: Pacific Science Congress Quezon City) - National Research Council of the Philippines. Publication info: Quezon City :National Research Council of the Philippines, University of the Philippines,1955. Proceedings of the Entomological Society of Philadelphia. By: American Entomological Society. - Entomological Society of Philadelphia. Publication info: Philadelphia :[Printed by the Society],1863-1867. By: Floating Tire Breakwater Workshop Niagara Falls, N.Y.) - Bishop, Craig T. - Broderick, Laurie L. - Davidson, D. Donald. - Coastal Engineering Research Center (U.S.) - U.S. Army Engineer Waterways Experiment Station. By: International Billfish Symposium Kailua-Kona, Hawaii) - Shomura, Richard S. - Williams, Frances. - United States. National Marine Fisheries Service. Proceedings of the Linnean Society of New South Wales. By: Linnean Society of New South Wales. Publication info: Sydney,Linnean Society of New South Wales. Proceedings of the National Shellfisheries Association. By: National Shellfisheries Association. - U.S. Fish and Wildlife Service. Publication info: Plymouth, Mass.,Published for the National Shellfisheries Association by MPG Communications. Proceedings of the Natural History Society of Glasgow. By: Natural History Society of Glasgow. Publication info: Glasgow,Natural History Society of Glasgow. By: North Atlantic Submarine Canyons Workshop Vienna, Va.) - United States. Atlantic OCS Region. - United States. Minerals Management Service. Atlantic OCS Region. - Walcoff & Associates. Proceedings of the Royal Society of London. Publication info: London :The Society,1855-1905. Proceedings of the Royal Society of Victoria. Proceedings of the S-19 workshop in phytonematology, 1957. By: Sea-Air Interaction Conference Tallahassee, Fla.) - Florida State University. Dept. of Meteorology. - Florida State University. Oceanographic Institute. - Sea-Air Interaction Laboratory. Publication info: Springfield, Va. :distributed by Clearinghouse for Federal Scientific and Technical Information,1965. By: Western Atlantic Turtle Symposium Mayagüez, P.R.) - Ogren, Larry H. - Intergovernmental Oceanographic Commission. - Panama City Laboratory. - U.S. Fish and Wildlife Service. - United States. National Marine Fisheries Service. - University of Puerto Rico (System). Programa Sea Grant. By: Pacific Science Congress Auckland and Christchurch, N. Z.) - Pacific Science Association. Publication info: Wellington,R. E. Owen Government printer,1951-53. Proceedings of the symposium held at Liège, August-September, 1954. Comptes-rendus du symposium de Liège, août-septembre, 1954. By: Radiobiology Symposium Liège) - Alexander, Peter, - Bacq, Z. M.
Publication info: New York,Academic Press,1955. Proceedings of the third USA-USSR symposium on the effects of pollutants upon aquatic ecosystems. Publication info: Duluth, Minn. :U.S. Environmental Protection Agency,1980. Proceedings of the Washington Academy of Sciences. Publication info: Washington,Washington Academy of Sciences. By: Royal Institution of Great Britain. Edition: English-French-German ed., edited for the International Union of Biochemistry by F. Clark and R.L.M. Synge. By: Symposium on Transducers for Oceanic Research San Diego, Calif.) - Gaul, R. D. - Instrument Society of America. Marine Sciences Division. Proceedings. 5th Biology Conference "Oholo" 1960. By: Symposium on Cryptobiotic Stages in Biological Systems Kineret, Israel) - Grossowicz, Nathan. Publication info: Amsterdam,Elsevier Pub. Co.,1961. By: Ehrlich, Paul R. - Holm, Richard W.
Processing bathythermograph data at the Hydrographic Office. By: Richmond, Benjamin S. - United States. Hydrographic Office. Publication info: Washington, D.C. :U.S. Navy, Hydrographic Office,1956. By: La Fond, E. C.
Publication info: Washington,U.S. Navy, Hydrographic Office,1951. Publication info: Washington, D.C. :The Center,1962. Processing physical and chemical data from oceanographic stations. Publication info: [St. Petersburg :Acad. imp. sci.,1834]. By: Nederlandsche Botanische Vereeniging, Leyden. By: Doty, Maxwell Stanford. - Capurro, Luis R. A. Publication info: College Station, Tex. :Dept. of Oceanography and Meteorology, Agricultural and Mechanical College of Texas,1961. Publication info: Leipzig :W. Engelmann,1897. Project Sealab report : an experimental 45-day undersea saturation dive at 205 feet / Sealab II project group, edited by D.C. Pauli and G.P. Clapper. By: Clapper, G. P. - Pauli, D. C. - United States. Office of Naval Research. Publication info: Washington :U.S. Govt. Print. Off.,1967. By: Hoffman, John S. (John Stephen), - Keyes, Dale L. - Titus, James G. - United States. Environmental Protection Agency. Office of Policy and Resource Management. Strategic Studies Staff. Publication info: Fort Belvoir, Va. :U.S. Coastal Engineering Research Center,1976. By: Woodhouse, W. W. (William Walton), - Broome, S. W. - Seneca, E. D. - Coastal Engineering Research Center (U.S.) - North Carolina State University. Publication info: Fort Belvoir, Va. :Coastal Engineering Research Center,1974. By: Taylor, R. J. - Beard, R. M.
Publication info: Port Hueneme, Calif. :Naval Civil Engineering Laboratory,1973. By: Bromley, Leroy Alton, - United States. Office of Water Research and Technology. - University of California, Berkeley. Publication info: Washington, D.C. :For sale by the Supt. of Docs., U.S. Govt. Print. Off.,1972. By: Rail, R. D. - Haynes, H. H.
Publication info: Port Hueneme, Calif. :Civil Engineering Laboratory, Naval Construction Battalion Center,1979. Publication info: Paris :A. Hermann,1911. Protection of Narragansett Bay from hurricane tides : hydraulic model investigation : interim report. Publication info: Vicksburg, Miss. :Waterways Experiment Station,1957. Publication info: New York,McGraw-Hill Book Company, inc.,1936. Publication info: London :J. Churchill,1870. Publication info: Leipzig :W. Engelmann,1863. By: Carver, Robert D. - Coastal Engineering Research Center (U.S.) - Repair, Evaluation, Maintenance, and Rehabilitation Research Program. - U.S. Army Engineer Waterways Experiment Station. - United States. Army. Corps of Engineers. Publication info: New York :Columbia University Press,1941. The Protozoa, by Gary N. Calkins. Protozoan parasites of domestic animals and of man. Publication info: Minneapolis,Burgess Pub. Co. Die Protozoen als Krankheitserreger : Nachtraege. Edition: 2. sehr erweiterte Aufl. Publication info: Jena :G. Fischer,1895. Die Protozoen als Krankheitserreger des Menschen und der Hausthiere; für Ärzte, Thierärzte, und Zoologen. Die Protozoen als Parasiten und Krankheitserreger nach biologischen Gesichtspunkten dargestellt. Publication info: New York :W. Wood,1926. Publication info: New York,Lea & Febiger,1909. Publication info: Springfield, Ill.,C.C. Thomas,1946. Edition: Enlarged and completely rewritten edition of Handbook of protozoology. Providing for a comprehensive, long-range, and coordinated national program in oceanography. By: United States. Congress. House. Publication info: Washington, D.C.,U.S. Govt. Print. Off.,1962. By: Binet, Alfred, - McCormack, Thomas J. Publication info: Chicago,Open court publishing company,1889. Publication info: Berlin :R. Friedländer und Sohn,1913. Publications - Puget Sound Biological Station. By: Puget Sound Biological Station. Publication info: [Seattle? ]Puget Sound Biological Station, University of Washington. Publication info: Pittsburgh,Pub. by the authority of the Board of Trustees of the Carnegie Institute,1918. In: Records of the Australian Museum.